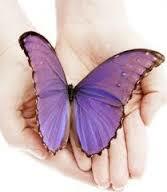 On Angels' Wings Healing and Coaching is pleased to offer Gift Certificates for that special someone any time of year! It makes a wonderful gift for Birthdays, Anniversaries, Holidays, Appreciation, or Just Because. Gift Certificates can be for any service offered. For more information, please call (928) 273-8447 or email to onangelswingshealing@gmail.com.